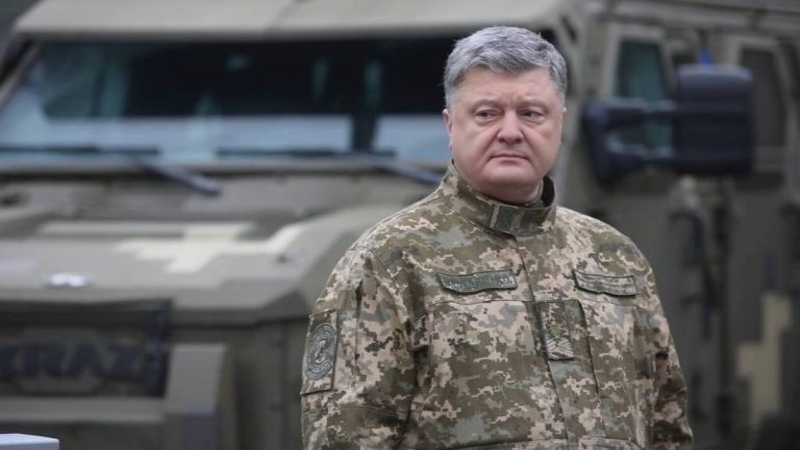 Up to 2.5 thousand soldiers of the regular Russian army are deployed in the Donbas, Ukrainian President Petro Poroshenko said in an interview with the CBS News channel, as cited by the website of the Head of State Administration. According to him, their number was changing in different periods. In addition, about 50,000 so-called "Russian volunteers" are stationed in the zone of hostilities, who were recruited through the Russian mobilization system and sent there. “We have the confirmed figures that in different periods the number of regular Russian troops in the occupied territory was from 10 thousand to 2.5 thousand. Plus, nearly 50,000 troops of so-called "Russian volunteers" who were recruited through the Russian mobilization system and sent there. However, they are creating the image that they are not regular army soldiers. But they are Russian, they are Russian by nationality, they are Russian servicemen. They use Russian weapons and ammunition. And these are Russians,” he said. According to Poroshenko, Russian leader Putin seeks to capture Ukraine. “He [Putin, - Ed.] seeks to bring back the Soviet Union. In an interview he answered the question about the biggest catastrophe of the 20th century - not the Second World War, not Hiroshima, not Chernobyl, but the collapse of the USSR. This is his thinking. Yes, to reclaim it. And to return the USSR or the Russian Empire. Whichever you prefer,” said the president. Poroshenko noted that Russia is trying to destabilize the situation in Ukraine and to discredit the achievements of the Revolution of Dignity. “It sounds like a "new cold war". However, Ukraine is now a "front line of the Cold War" and is waging a "hot war", the head of state said. Earlier, Poroshenko in an interview with the German newspaper Handelsblatt urged Germany to refuse the construction of the Russian gas pipeline Nord Stream-2, noting that it would provide Russia with an opportunity to block Ukraine. According to the head of the Ukrainian state, the project "Nord Stream-2" is a political bribe for Russia's loyalty.